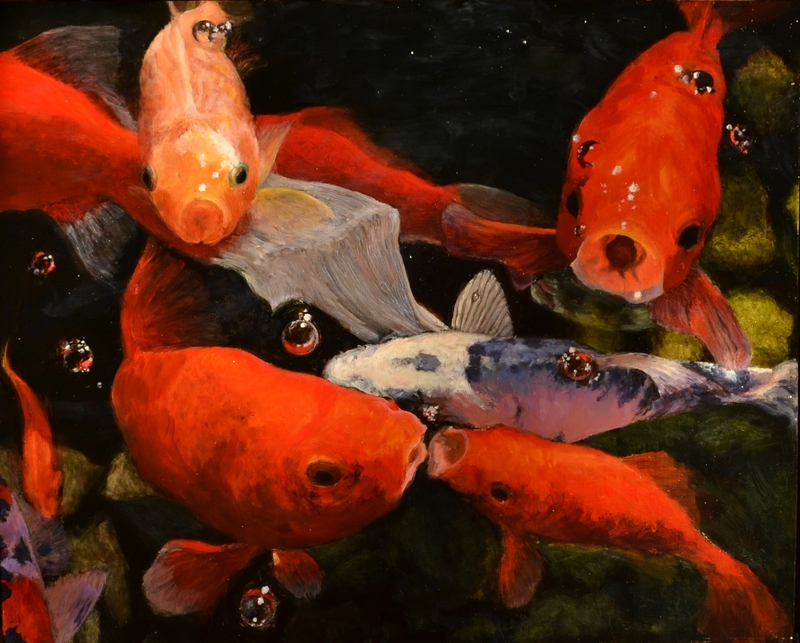 This painting features our beloved pet koi and goldfish. The koi were all different; they all had names and unique personalities (the silvery one in the center of the painting is named Flash). The goldfish, on the other hand, were hard to tell apart… so we just called them all “Zippies”. This entry was posted in Uncategorized on April 11, 2014 by allanm051.